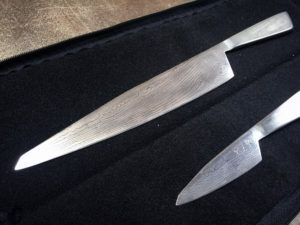 Here are two unique integral (all metal) damascus knives. 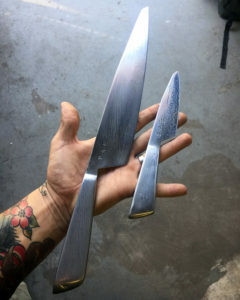 These are a real trick to forge, it requires perfect hammer control, one wrong hit and you have to start over. 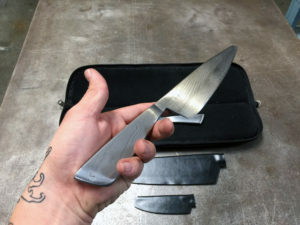 As such forging these type of knives are a bit nerve wracking, you can literally loose days of work to one slip of the hammer or on the grinder. 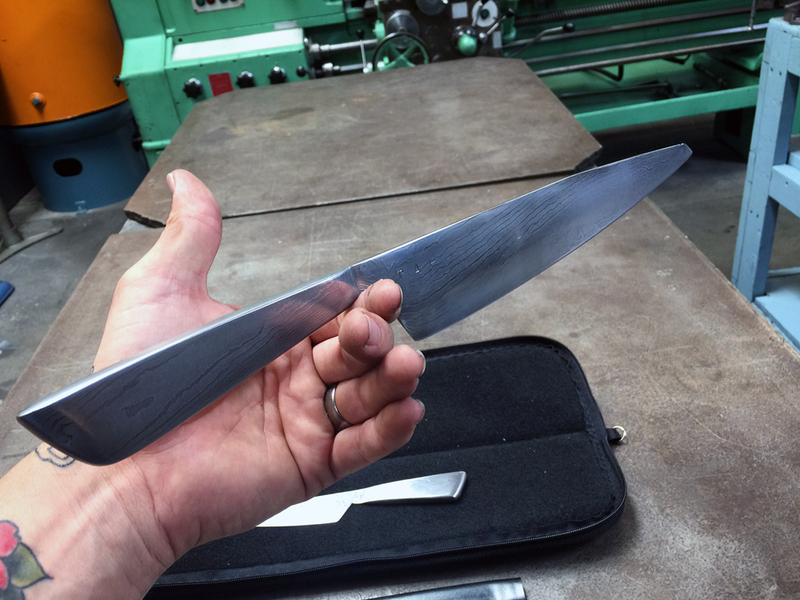 Making integral damascus knives takes both skill and a focused mind.